Two welcome energy announcements, but are Irish SME's being left behind? Last week saw two major announcements in Ireland, which although great for large corporate operations, and private homeowners, do little to support the 248,344 Small and Medium Enterprises operational in Ireland today. So, what were these announcements? Why were SME’s bypassed? And who can help SME’s save on their energy overheads in the absence of further government support? 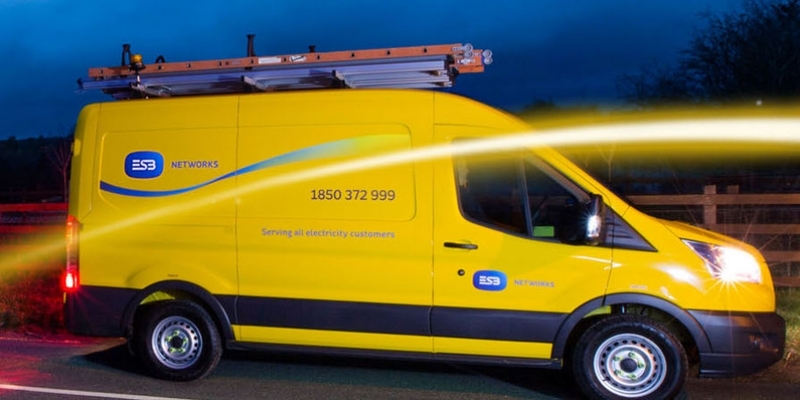 Firstly, it was announced that the ESB will spend €15 million on energy-management and efficiency projects in 2018 that will help guarantee big companies savings of up to 60 per cent on their energy bills. The company helped Tesco save 25 per cent in energy costs in its 148 stores in the Republic. The group also aided fellow State company DAA, the Dublin and Cork airport operator, cut energy spending by a third. Now don’t get me wrong, this is a huge commitment from the ESB, and they should be applauded on their approach to reducing energy consumption. Our only disappointment comes with the revelation that this fund is to be exclusively channelled to larger operations. 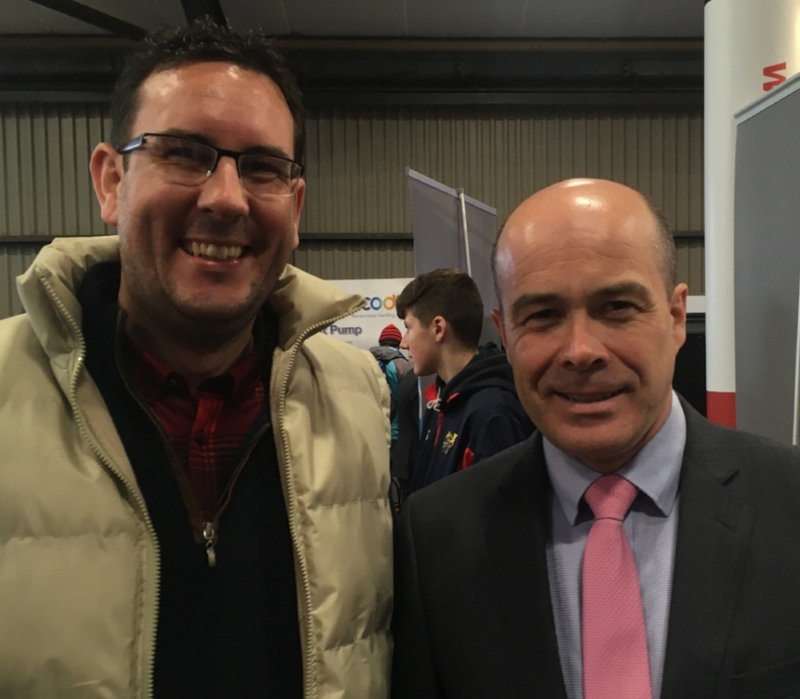 Brian O'Callaghan, Glas Éireann Solutions, with Minister for Communications, Climate Action and Environment Denis Naughten at a recent event. · People who want to move away from using fossil fuels to heat their home through a significant new grant of €3,500 for heat pumps with effect from April 2018. This will be accompanied by a 33% increase in the grant for external wall insulation and the removal of a grant for fossil fuel boiler replacement to be replaced by a higher grant for heating controls. · Grants for heating controls systems, which are being increased from €600 to €700. · External wall insulation, which will be significantly increased, with grant levels ranging from €2,750 to €6,000. Minister Naughten stated: "It is time to start to move away from using fossil fuels to heat our homes. The expansion of current schemes and increased funding for appliances such as heating controls and heat pumps that control a household's energy usage, particularly when combined with deeper measures like external wall insulation, will make a real difference in our homes, in our communities and for our environment. By increasing the funding available and expanding current schemes I hope that even more people will be encouraged to invest in the energy efficiency of their homes." Again, this is another welcome measure, and it shows the Government’s commitment to working on our 2020 and 2030 targets, but what about the Irish SME? Are they being forgotten about? Firstly, let’s ask ourselves, what is an SME? · A Micro Enterprise is an enterprise that has fewer than 10 employees and has either an annual turnover and/or annual balance sheet not exceeding €2 million. · A Small Enterprise is an enterprise that has fewer than 50 employees and has either an annual turnover and/or an annual balance sheet total not exceeding €10 million. · A Medium Enterprise has fewer than 250 employees and annual turnover below €50 million or balance sheet below €43 million. According to the latest figures from the Central Statistics Office (CSO), there are 248,344 Small & Medium Enterprises active in Ireland and the latest CSO Business Demography results from 2015 show that 968,881 people are employed by SMEs. So, I think it is fair to say that SME’s in this country play a pretty big role when it comes to the economy, and although there are some grants available through SEAI, applying for these can sometimes be daunting, confusing and demotivating. 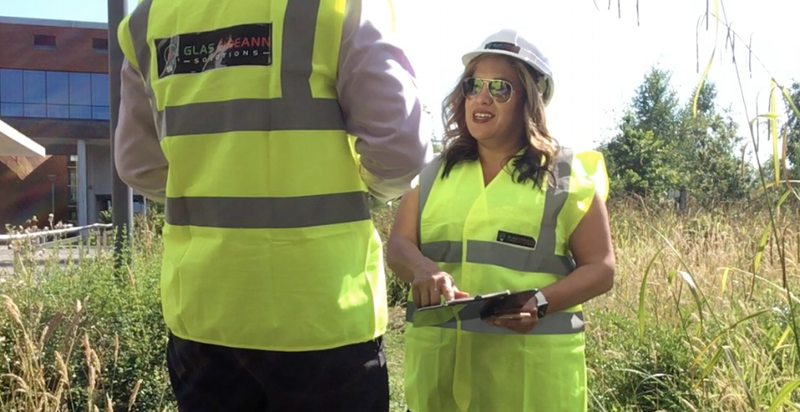 CEO Cori Calvert on a recent site visit. 1. We audit, assess and evaluate your current energy outlays. 2. We design and propose green energy savings solutions, guaranteeing you savings of up to 60%. 3. We offer innovative financing options with costs repaid from the guaranteed energy savings made, as well as helping you apply for all relevant grant aid. 4. We project manage and commission all installations, as well as train staff on their correct usage for optimum results. 5. We continue to monitor energy outlays to ensure all projected savings are being met, as well as maintain all equipment for the duration of the contract and beyond if required. At Glas Éireann Solutions, we are committed to reducing commercial, agricultural and industrial energy usage, energy overheads, carbon footprint as well as exposure to future energy price increase risk. We offer a variety of solutions in order to achieve this. To find out more on how we can help your business, why not contact us here, or phone on 061 - 633 298. Newer PostDitch The Disposables, We Have! Older PostWhat is a Commercial Energy Audit?